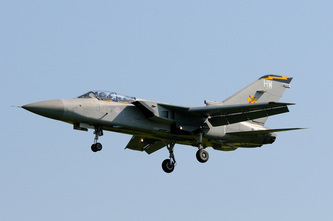 The Panavia Tornado came out of the concept of the Multi Role Combat Aircraft (MRCA). There were two versions developed the ADV (Air Defence Version) and the IDS (Interdictor/Strike). 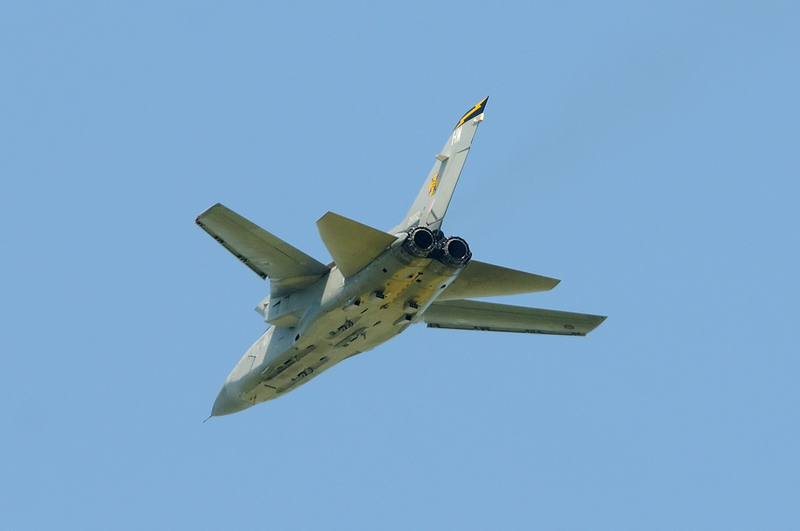 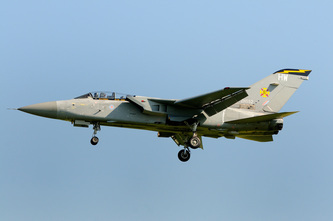 The ADV version of the Tornado was designed to intercept Soviet bombers at long range using missiles such as Skyflash, or if things got in close, Sidewinders, and still closer, a 27mm Mauser cannon. 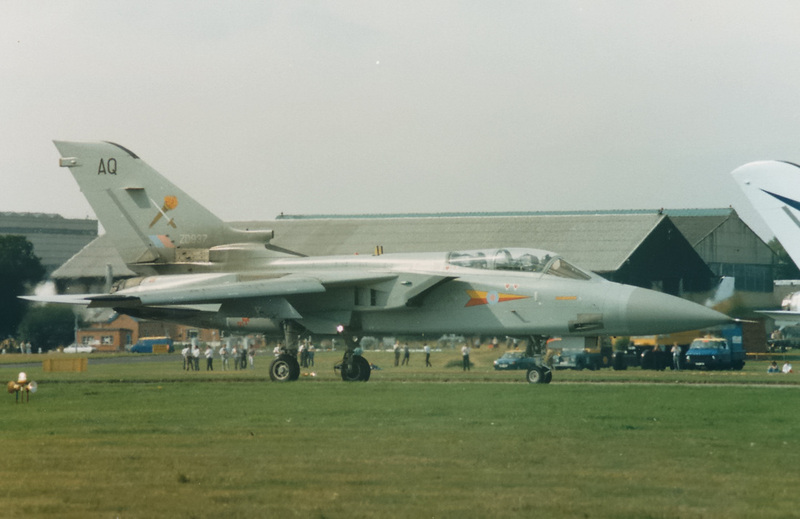 The initial variant of the ADV Tornado was the F.2 (shown on the left). 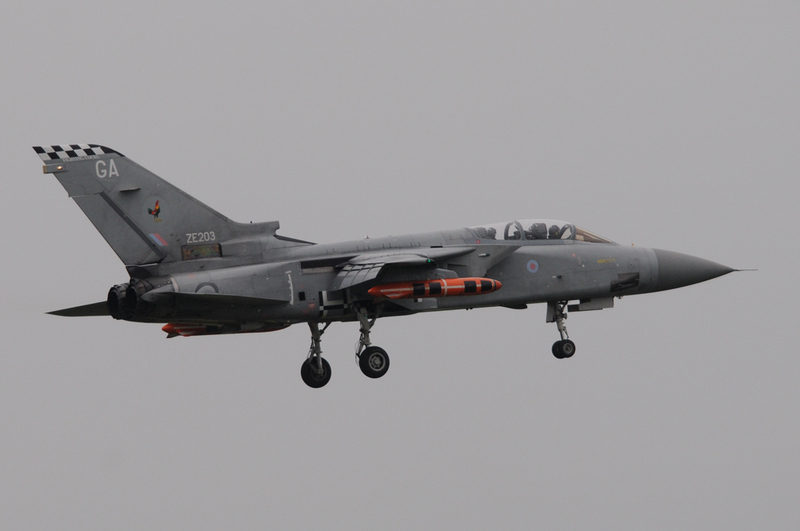 This was followed by the F.3 variant which is the subject of this web page. 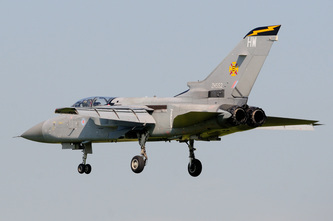 The first F.2's entered RAF service in November 1984 with the F.3'scoming on strength from July 1986. Other airforces that used the F.3 were the Saudi's and the Italians (24 airframes leased from the RAF). Whilst the IDS (Interdictor/Strike) remains in service in the form of the GR.4, the RAF retired its Tornado F.3's on the 22 March 2011, however, that was not quite the end. Several airframes found their way to the Wiltshire airfield of Boscombe Down. 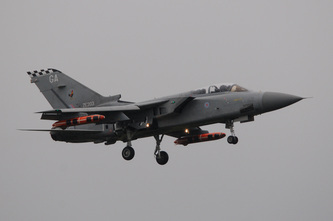 The aircraft were used by QinetiQ. It has recently come to my attention that the final flights of the F.3's at Boscombe occurred on 18 June 2012. 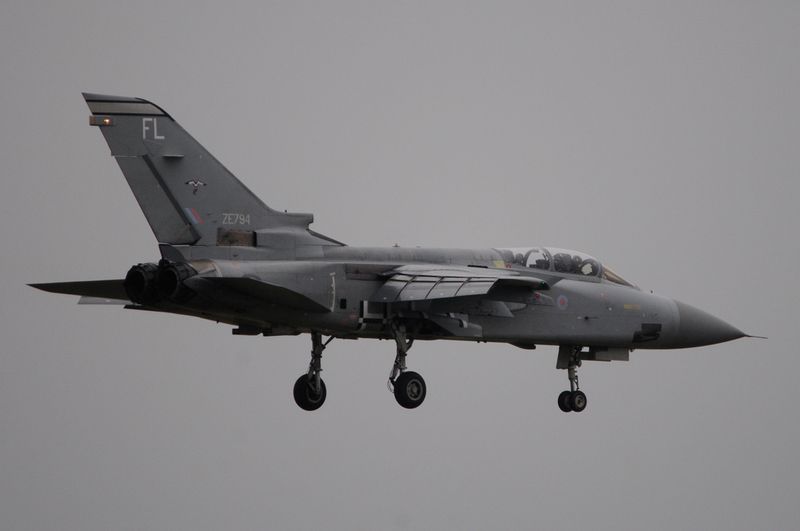 This then ends another chapter of UK aviation history. 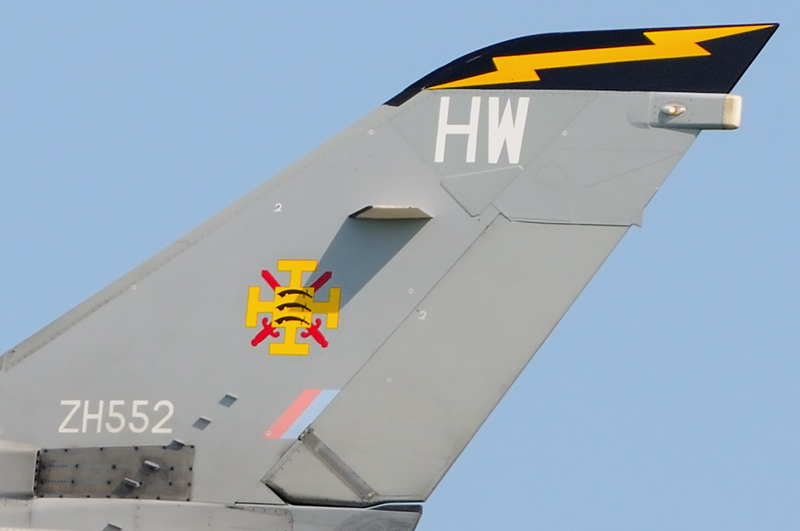 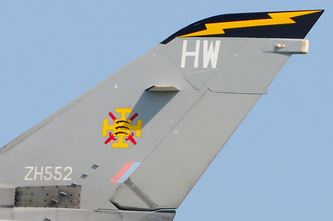 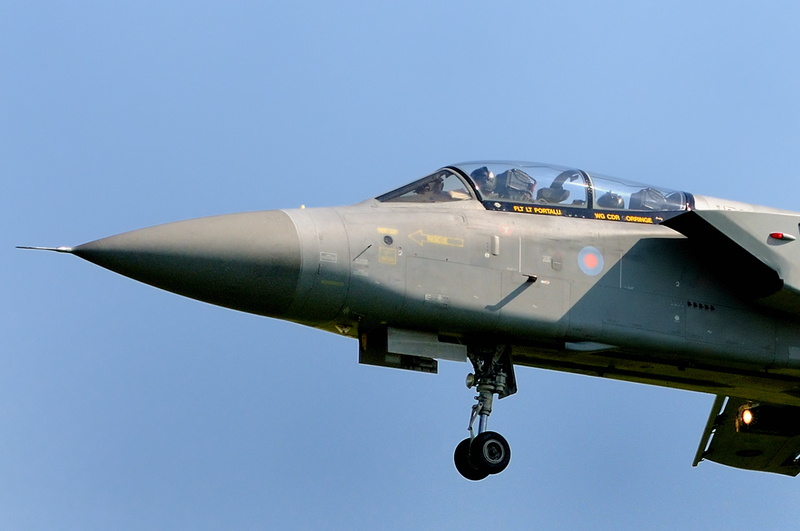 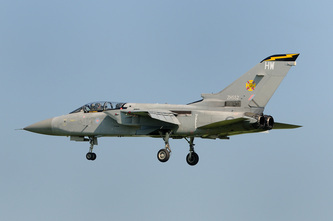 There is also an F.2A Tornado (TIARA) ZD902 located at Boscombe. 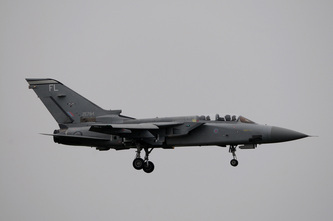 The aircraft has been grounded and was observed at the airfield during a visit in June 2013. 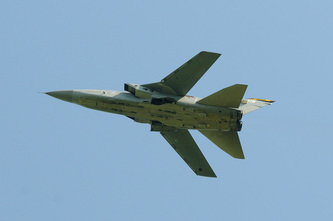 The F.2A is still complete and was located on jacks to allow all controls to operated by hydraulic power.